North Lawndale College Prep’s (NLCP) leadership team is award-winning and incredibly well credentialed. Their expertise, commitment and professionalism is unparalleled, and their values without question. But what makes the NLCP team a true success is not their many years of experience, but the heart that each of these individuals brings to their job and to the world of education, every day. 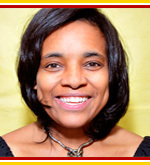 Dr. Garland L. Thomas-McDavid assumed the role of President of North Lawndale College Prep in July 2017. She is excited to be part of an organization that has sustained itself in ed reform for twenty years and leads some of the most progressive and innovative programs in education. Garland is responsible for taking NLCP to the next level as she builds on the amazing accomplishments achieved under the leadership of John Horan and the extraordinary team at NLCP. Dr. Thomas-McDavid is a proven leader with a background spanning over 15 years in the field of education. She most recently served Civitas Education Partners as their Chief Executive Officer and achieved a number of substantial wins across academics, finances, and enrollment. Before this, Garland was a Lead Principal for Noble, which involved coaching principals and the Founding Principal of the Johnson College Prep Campus in Englewood. 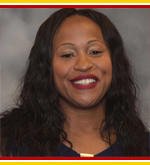 Dr. Thomas-McDavid has also served as an Assistant Principal and held multiple positions serving students in Naperville and Romeoville, Illinois. She has taught graduate courses as an Adjunct Professor in DePaul University’s School of Education where she completed her doctoral studies. Her Bachelor’s and Master’s Degrees were earned from Florida State University in Tallahassee Florida. Garland is the proud mother of five children and the grandmother of one. Senita L. Murphy has been employed in the field of education since 2000. She started her career as a first year English teacher at North Lawndale  College Preparatory Charter High School in Chicago, Illinois. Mrs. Murphy has held numerous positions at NLCP: Professional Learning Lead Teacher, Director of Student Affairs, Saturday School Coordinator, Assistant Principal, Principal of the Christiana Campus and now principal of the Collins Campus. Mrs. Murphy currently holds a B.A. from Chicago State University in English with a Type 9 teaching certificate and a M.A. from Chicago State University in Educational Leadership-General Administration with a Type 75 certificate. Tiara Jordan joined the NLCP family in 2018 as our new Director of Student Life and then transitioned to the role of Principal of the Collins Campus. Tiara earned her Bachelors in Special Education from Ohio University, followed by her Masters in Educational Psychology from Eastern Michigan University. Tiara has recently served as Principal of Entrepreneurship Prep School- a campus of Breakthrough Charter Schools in Cleveland. Prior to that, she served as a Director of Curriculum and Instruction and Special Education Instructional Coach for The Preps model. 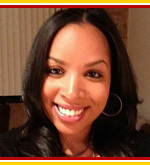 Tiara was also a part of three founding teams at Noble (Gary Comer, Muchin and Baker) and served in the following positions during her 6 years with the network: Founding Dean of Discipline, Founding Intervention Specialist /Case Manager ,9th and 11th Grade Literature Teacher, ELL Coordinator, Advisor and Basketball and Cheerleading coach. Tiara is extremely passionate about the student experience, and excited to be part of a team of experienced educators who are serving the students and families of the North Lawndale community. 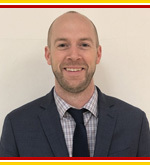 Luke McShane is a passionate leader, providing transformative educational experiences to scholars at North Lawndale. His work is predicated on developing a school environment in which learning is sacred, scholars live the Phoenix Way, and prepare for college graduation. Students and staff are supported through a constructivist environment in which creativity and rigorous academics thrive. Prior to his appointment as Principal, Mr. McShane taught Chemistry and a variety of sciences at the Christiana Campus for seven years. His Bachelor’s Degree was earned from University of Illinois: Urbana-Champaign and Master’s Degree from University of Illinois: Chicago.